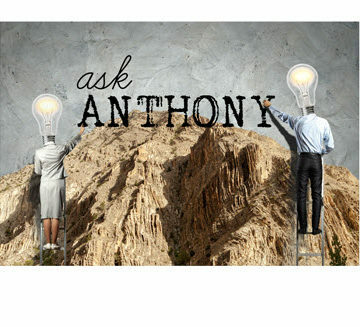 Ask Anthony: Is There Such a Thing as a Non-Stressful Civil Engineering Job? If you are a civil engineer with any amount of experience, you probably chuckled when you read the title of this post. The question that came in actually read as follows: I need help to find a civil engineering job that is less stressful and time-consuming than my current position. I don’t care about a high salary. I just want to work 40 hours a week, not 60. Can you find any job today that doesn’t create some type of mental or emotional stress? I doubt it. A more important question is, do you really want to? In a lot of ways, at least for me, deadlines provide motivation and push me to create valuable content. But in addition to project deadlines, think about what civil engineers actually do. They create projects that affect human beings, meaning that each project needs to be designed, reviewed, and constructed with the utmost care and detail, which itself adds a layer of stress to the deadline. So, in general, I think that if you are a civil engineer, you will experience some level of stress, and quite frankly I think that’s healthy for you and your career. All that being said, let me take a shot at giving you a few recommended career paths in civil engineering that might produce a little less stress than jobs in the private consulting field. A job in government as a civil engineer might be a better fit for you. Now, I am certain that civil engineers in government deal with stress, but there is a much better chance you can work closer to 40 hours a week. Although that isn’t always true, I know many people for whom it is true. Another option might be working as a sales engineer for a manufacturer. While this job may actually be more stressful, especially if it is commission-based, you will have a very flexible schedule and not be confined to a cubicle, which for me always made things more relaxing. Another option is to work in the field. It may still be stressful, but again, at least for me, jobs that don’t pin me to a desk for 10 hours a day feel much less stressful. You might also consider working in a different role but still in the civil engineering industry. I have a colleague who transitioned from being a civil engineer to an AutoCAD manager within his firm. It’s kind of like an IT position, but he helps engineers use AutoCAD efficiently and he loves it. He probably still works a lot of hours, but his stress seems to be minimal as he doesn’t have project deadlines or clients to deal with. Lastly, if you really would prefer to stay in private consulting but work fewer hours, make it clear to your firm that you want to work strictly as a design civil engineer with no intention of getting into management. I don’t know how thrilled they will be to hear this, but it’s your only shot of trying to keep your hours down and your stress to a minimum (and it still won’t be zero). It’s a difficult question to answer, with few ideal solutions. Keep looking and you will find something that works for you. I did, and my solution wound up being career coaching and writing for civil engineers – which, you might guess by now, still has some stress and deadlines associated with it. 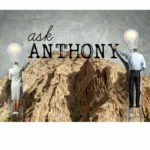 Ask Anthony: How Can a Young Civil Engineer Overcome the Fear of Networking? * Your brain can only do one conscious operation at a time. When you multitask you add stress, take longer absolute time to do a given task (that 60-hour work week? ), and are more likely to make errors. * Your subconscious mind does the vast amount of your cognitive processing. You can learn to use your conscious mind to further engage your subconscious mind and, without you being aware, your subconscious will do more productive work for you — the results will “pop out of the blue” as they say. * Habits control at least half of what we think, say, and do. If you know how to replace bad habits with good habits, you will be more productive. You cannot will habit change. You must repeatedly go through a brain-based process. * Your brain’s no longer needed but still present negativity bias is probably holding you back. You should recognize and counter act it. The above are starters to help me make my point: Become brain literate and you will reduce stress and earn other benefits. Great stuff as usual Stu, thanks for sharing! 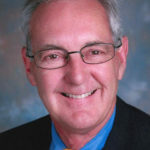 I’ve been a solo consulting structural engineer since 1980 and the real way to deal with stress is to avoid it. I don’t mean avoid business meetings or deadlines, but realize that your life consists of lots more than whether you make the deadline. Sometimes the deadline is unrealistic, and should be missed, to make it clear that circumstances beyond your control have caused you to not get the info you needed or whatever the reason is. But you only get stressed because your body reacts in fight/flight mode when confronted; control your emotions, don’t let them control you. Take a deep breath and say to yourself “Everything is going to be OK.” Then keep cool and approach the situation with confidence and determination, and resolve it. But no business situation should ever cause your stomach to churn, or give you a dry mouth, or make you feel bad. Steve, great point. Your response to things has a huge impact on your own success….